Thomas Safron and Associates not only preserved space on site for foliage, it leased an adjacent vacant lot and planted a variety of shade trees. This space sits between the residences, a 110 freeway exit, and the Rosa Parks Metro Stop. It will soon be deeply forested, cooling and cleaning the air. From the residences, it will obscure views and sounds of traffic. 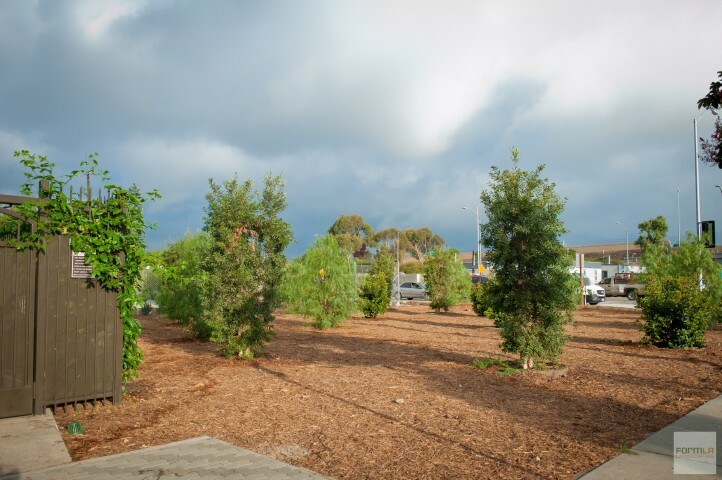 From the freeway and station, it will make Willowbrook a more verdant, welcoming stop.